you have checked that the communications link between your computer and the digitiser is working. 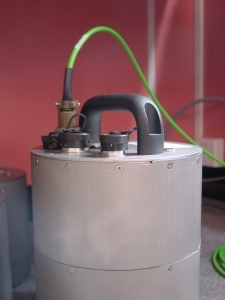 a Guralp Systems power/data cable. This cable has a blue wire ending in a 9-pin serial connector, and a grey wire ending in red and black bare wires. Both are connected to a 10-pin round connector at the other end. Identify if you have a DM24 mk2 or a mk3 digitiser. Installations with digital sensors: If you have a 3ESPCD, 3TD or 40TD which is in a single-piece sleeve, you have a mk3 digitiser. If you have a 3ESPD, 3TD or 40TD with a two-piece sleeve (with a join across the middle marked by screws), or another type of instrument, you may have either type of digitiser. The rest of this how-to is for DM24 mk3 digitisers only. There is a separate troubleshooting guide for mk2 digitisers elsewhere on this Web site. Power on your PC and run Scream. If this is the first time you have run Scream! on this computer, the Com Ports tab will open automatically. Find the entry for the serial port on your computer. If you have more than one serial port, choose one to attach to your digitiser, and find its entry. Set the Baud Rate to the correct value for your digitiser. If you have not changed the Baud rate of the digitiser, set it to 38400. If you have configured a different rate, and can remember it, use this rate. Click OK.
From the main menu, select File – Terminal…. A window will appear asking you to Select Port to open. 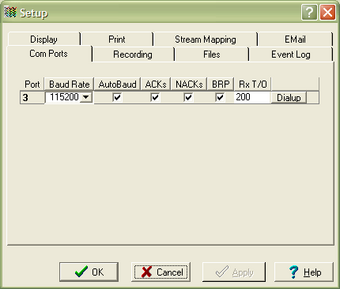 Choose the serial port you are going to use from the Port drop-down menu. Leave the Link Type set to Direct Serial. A Terminal window will open. If the Data Out port of the digitiser is connected to anything, disconnect it. Connect the 9-pin serial connector on the data/power cable to your PC’s serial port. 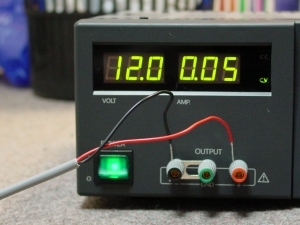 Connect the red and black wires to a 10 – 24 V power supply. Connect the round connector to the digitiser’s Data Out port. Watch the Terminal window while you are doing this, and listen. You should hear a click from inside the digitiser. This is the internal relays resetting. Soon, boot-up messages should appear from the digitiser. The messages depend on the digitiser model. If you do not see boot messages, follow this link. If you see a different message, follow this link. If the digitiser is working, Scream! will report Connection closed by remote instrument. Click OK. Streams should soon begin appearing in Scream!’s main window. If Scream! does not report Connection closed by remote instrument after the boot messages, follow this linkThe digitiser should transmit one or two status blocks (ending 00) immediately. When this happens, Scream! will recognize the digitiser and add its icon to the left-hand pane. Data streams may follow later. The digitiser boots normally, but Scream! does not report Connection closed by remote instrument after the boot messages. The digitiser may be in FILING mode, or configured to output no continuous data. Data streams should start appearing in Scream!. The configuration memory may be corrupted. Open the Com Ports window and set the serial port back to 38400. Choose File – Terminal… and connect to the digitiser terminal. and the DM24 will drop to a prompt. If you do not see this message, or the short boot message, your digitiser may be a mk2 unit. 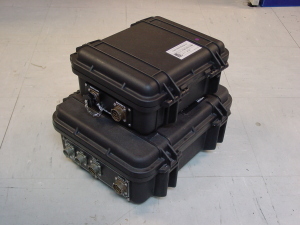 See the separate troubleshooting guide for DM24 mk2 digitisers. The digitiser will reboot with its factory settings. Keeping the Terminal… window open, you should see the normal boot messages. Scream! will then close the window with a Connection closed by remote instrument message, and data streams will appear. to close the terminal window. Right-click on the digitiser’s icon in Scream! and choose Configure… to reconfigure it. The digitiser produces a short boot message. Copyright (c) 2002-3 GSL, EDSL & MicroProcessor Engineering Ltd. . The digitiser then switches to the configured Baud rate. If you see this message followed by garbage (data), look for the line beginning Port 0. This line displays the Baud rate the digitiser is using: here, 115200 Baud. 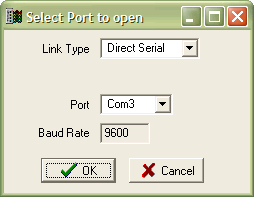 Open the Com Ports window and set the serial port to this Baud rate. Start this how-to again. If you see this message but the digitiser freezes, repeats this message, or does not respond at the displayed Baud rate, the configuration memory may be corrupted. If necessary, open the Com Ports window and set the serial port back to 38400. The digitiser does not produce boot messages. The DM24 may not be powering up. Check that the power cable is connected correctly, and the power source is working. If a GPS receiver is connected, unplug it and power cycle again. Damaged GPS units or cables can pull the power supply voltage down below the level the digitiser needs to operate. If the digitiser now works, the problem lies with the GPS receiver or cable. If the digitiser still does not respond, measure the current drawn when it is switched on. If the digitiser draws no current, it is not receiving power. If possible, swap the power cable for another and try again. If the digitiser still draws no current, it may be damaged. Contact Guralp Systems for assistance. If the digitiser draws some current, and you have access to a working digitiser, replace the digitiser with the working one and connect it to the same power supply. Measure the current drawn. Compare the amount of current drawn by the working digitiser with the amount drawn by the one you are troubleshooting. If the two currents are significantly different, there is internal damage to the digitiser. Contact Guralp Systems for assistance. If the current seems normal, the problem may be with the data output port. Two pins on the GPS port provide an emergency terminal connection at 38400 Baud. You will need to make up a special cable to use this interface. The pin assignments are given in the digitiser manual. The Baud rate of the digitiser may not be set correctly. In Scream!’s main window, click File – Setup…. Switch to the Com Ports tab. Set the serial port to a different Baud rate. Alternatively, set the port to Auto-Detect. Scream! will try and find the Baud rate automatically. Power cycle the digitiser and look for boot messages as above. If the digitiser and Scream are running at different Baud rates, you will see characters on screen but they will be unintelligible. In this case, try a different Baud rate. If you do not see any characters, the problem is not related to Baud rates. When the digitiser is working, you should reinstall it with your other equipment. Do this in steps, and check that the system still works after every step. If you disconnected a sensor or sensors, reconnect them. If you disconnected the GPS receiver, reconnect it. Using Scream! on your PC, check that the digitiser is outputting streams. Reconfigure the digitiser according to your requirements. When the digitiser reboots, check that it outputs data in the way you expect. Disconnect your PC, and connect the digitiser’s DATA OUT port to your normal data collection hardware and power supply. Set the Baud rate of your data collection hardware to the output Baud rate of the digitiser. Check that streams are received. If streams are not received, check the power supply in the installation. Unplug sensors and GPS, and power cycle the digitiser. If this solves the problem, your power supply cannot provide enough power to run the full installation.